You are here: Home / Liposuction Information / How Much Fat Can be Removed by Liposuction? Many doctors decide how much fat to remove on a patient-by-patient basis. Others determine the appropriate amount according to whether the surgery is performed in an office, or in a hospital setting–willing to take greater risks where there is easy access to emergency assistance should it become necessary. Additionally, some states have set regulations on how much fat can be extracted via liposuction in an ambulatory setting (a freestanding surgical office or clinic) vs. a hospital. But there are still other factors to consider. From the medical perspective, the widely-accepted amount of fat that can safely be removed from any one patient during a single surgical session is no more than 6000 ml–approximately 12 lb of fat/fluid. (This does not mean a patient will lose 12 lbs after that amount is removed, only that the amount of fat, blood, and other body fluids equals this amount.) By most standards, excessive liposuction is considered dangerous under any circumstances, with documented fatalities occurring due to too much fat having been removed during a single surgical procedure. (Though increasingly rare, deaths still do occur.) Thus, while there is no clear consensus as to how much is too much, it’s generally acknowledged that the more fat removed, the greater the risk to the patient’s health. Even though liposuction techniques have vastly improved over the past 10 years, with risk and incidence of adverse outcomes dropping significantly, there are additional reasons not to exceed the recommended 6,000 ml of fat/fluid. For one, unattractive lumpiness or hollow dimpling of the skin is a common side-effect of patients being “over-suctioned.” Additionally, procedures removing more than the recommended amount have been shown to increase other health risks such as anesthesia-related reactions, infection, dehydration-induced shock, and the build-up of too much fluid that can seriously affect breathing. And since the removal of larger amounts of fat/fluid typically involves longer surgical procedures, the likelihood of forming blood clots, seromas (pockets of trapped blood and fluids), a drop in blood pressure, and lidocaine toxicity (due to the larger dose of anesthetic needed) are increased as well. 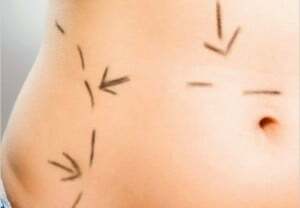 But all in all, the primary reason many doctors choose not to exceed the recommended amount is that most liposuction patients simply don’t benefit from having more than 6,000 ml removed. Liposuction is not intended to serve as a quick weight-loss procedure, but rather one designed to eliminate specific exercise- and diet-resistant fat deposits. Larger deposits of fat are better removed by tummy tucks or overall body contouring techniques, with obesity sometimes best dealt with through extreme diets or perhaps gastric banding, gastric stapling, or even the gastric balloon–not liposuction.